Fans are calling for Netflix’s “Daredevil” to be renewed for a fourth season, with the Twitter hashtag #RenewDaredevil. But social-media data suggests those efforts could be in vain. 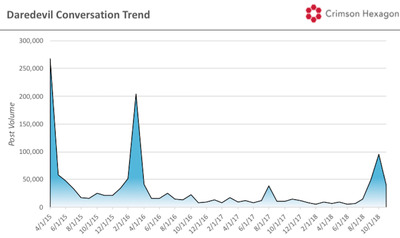 An analysis done by Crimson Hexagon for Business Insider shows that online conversation for “Daredevil” has been lacklustre since the third season debuted last month, only spiking when the character’s creator, Stan Lee, died. It’s been a month since the third season of Marvel’s “Daredevil” premiered on Netflix, and still no word on a season four renewal. 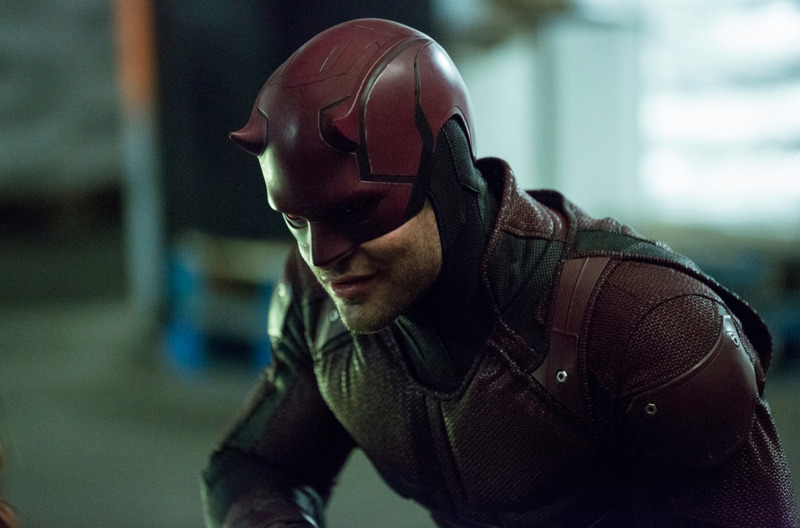 In an effort to change that, fans have been taking to Twitter with the hashtag #RenewDaredevil – but their efforts may be in vain. But fans are anxious considering Netflix canceled “Luke Cage” and “Iron Fist” last month, leaving the fate of its remaining Marvel shows – “Daredevil,” “Jessica Jones,” and “The Punisher” (which wrapped filming on its second season this year) – up in the air. As Disney, which owns Marvel, prepares to release its own streaming service, Disney+, late next year (which would be in competition with Netflix) there’s reason to believe that “Luke Cage” and “Iron Fist” could be just the start of Netflix getting out of the Marvel business. And “Daredevil” is far from safe in that regard, even though the showrunner Erik Oleson said earlier this month that he had pitched Netflix ideas for season 4. 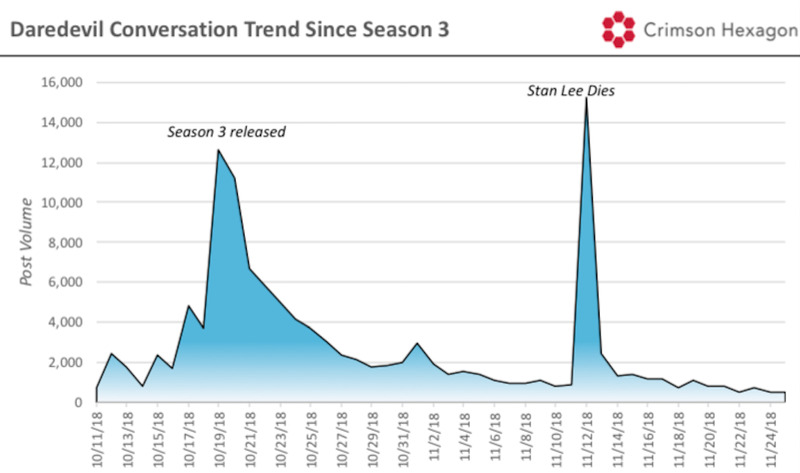 While the show has a loyal following, an updated analysis showed a similar pattern to “Luke Cage” and “Iron Fist”: there were far fewer Twitter and Instagram posts for season 2 than for season 1, and the drop was even more dramatic from season 2 to season 3. As shown in the first graph, the number of posts about “Daredevil” was cut in half from season 2 to season 3, and was well down from the season 1 high. And the conversation surrounding the show has been quiet since its premiere. The only time “Daredevil” spiked since then was when Stan Lee, the Marvel Comics legend who created the character, died earlier this month. The data suggests a tough road ahead for fans who want to see more of the Man Without Fear. But for Netflix, it might make the decision to part ways with one more Marvel hero easier.